For Samsung Galaxy J8 J5 A5 A3 S7 S6. Conductor: Pure Copper, [19/0. 08 /-0.008MM] [21/0. 18 /-0.008MM]. Aluminium Mylar Foil Shield: 15um. Fastener Included: Yes, Velcro. Braid Conductor Size: 16 5 0.10mm /- 0.008mm. item 5 20AWG Micro USB FAST Charger Cable Lead for Samsung Galaxy S7 S6 J8 A7 J5 more.. -20AWG Micro USB FAST Charger Cable Lead for Samsung Galaxy S7 S6 J8 A7 J5 more.. This is a great product and it fast chargers my phone better than any other leader I've had. Good quality it's the 4th I've bought I've got one for my phone my son's phone my tablet and for in my work van at 2 metres so I have plenty of length. 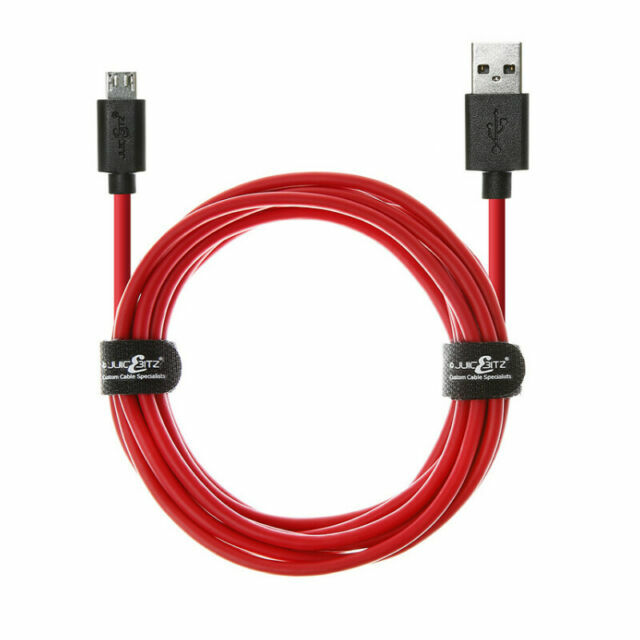 The quality of the cable is good the colours are good I chose red to make it stand out robust and reliable. Good quality high current connection means if your psu is capable of delivering reasonable current, your phone will charge in "AC" high current mode. At 2m long, you can still use the phone on charge, sitting or lying down without much physical restriction. Cable seems very well made and is capable of fast charging. Would buy another one. This 20awg charger cable from JuiceBitz in Yorkshire, really does work. I use it on my Galaxy Tab 3 and it charges at full current, unlike one I recently bought for my Tab 3 from another supplier, which charged at a much lower rate and was in fact exactly the same price.